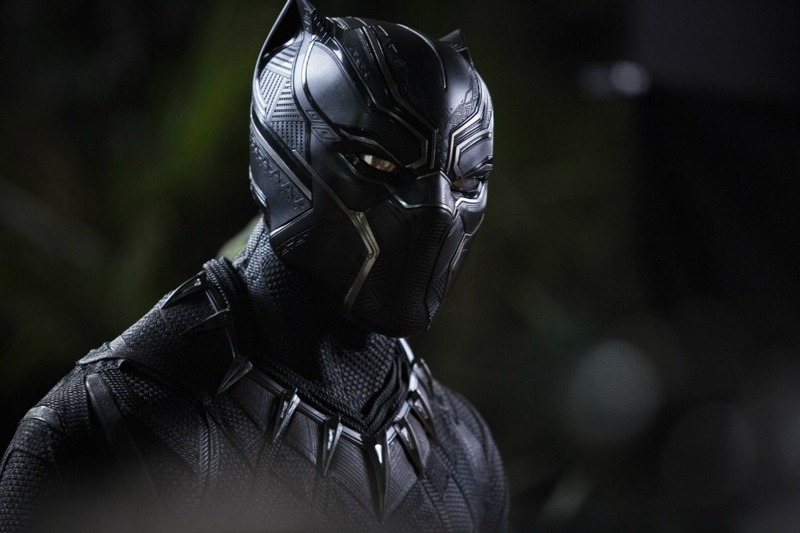 Even though Black Panther is the 18th movie since 2008’s Iron Man to be part of Marvel’s ever-growing cinematic universe, there is an excitement circling it that’s unlike anything we’ve ever seen for a Marvel Studios movie before. Chadwick Boseman leads the character’s first solo film (following an appearance in Captain America: Civil War) with one of the year’s most anticipated ensemble casts at his side. It’s the last film before the MCU’s massive Avengers: Infinity War drops in May, and it’s the first MCU film to feature a predominantly black cast, story and setting. Its trailers have electrified the internet, and the feeling is that we’re on the verge of a whole new universe of characters and storytelling that will begin to shape the future of the medium. 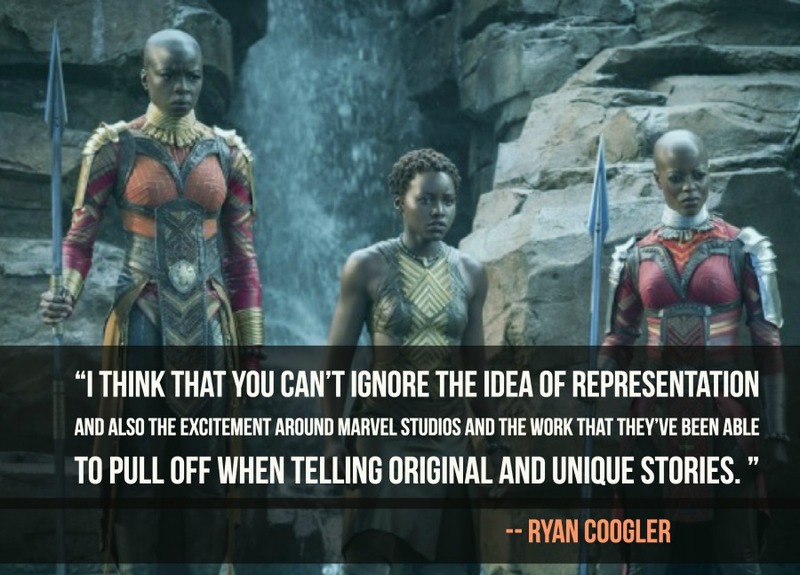 To celebrate the news that advance tickets are now on sale for Black Panther here at Fandango, we managed to snag just a small slice of time with a man a lot of folks are itching to hear from right now: Black Panther director Ryan Coogler. Fandango: So let’s start out with this Kendrick Lamar album. He and Top Dawg are curating it and there’s a bunch of original music. We’ve never seen this from a Marvel Studios movie before, so how did it come about? Was this your idea? 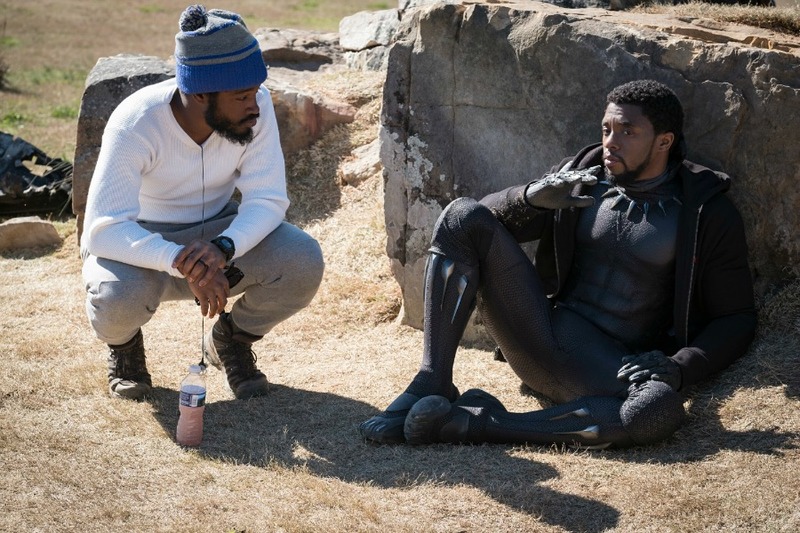 Ryan Coogler: Yeah, it was initially my idea, but hats off to the Disney marketing team and the music team here for being completely open to it. I think that I was fortunate that I had a relationship with Top and Kendrick before signing on to do this film, but it was working with doing something that I really thought would be right for this project, specifically, and also happy that Disney was open to it and Marvel was open to it and seemed supportive of the idea. I can't wait for the world to hear some of the art that they've been working on. I think that folks will be really excited to hear that stuff, man. Fandango: If Thor: Ragnarok is like a buddy road-trip movie and Captain America: Civil War is like a political thriller, what would you say Black Panther is? 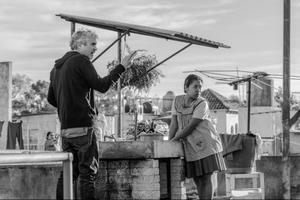 Coogler: I think it's got a lot of elements, man. I think it's a bit of an espionage thriller. I think it's a little bit of a family drama. It involves T'Challa working with his family, so I think there's a family-drawn element to it. He works with his sister, he works with his mother. He's dealing with the loss of his father, so similar to any film that deals with royalty, you have a family element and you have a political side, too. It works as a political drama as well. Fandango: We’ve heard comparisons to James Bond and The Godfather – is that accurate? What would you say were this film’s biggest influences? Coogler: Yeah, definitely with James Bond. I think similar to Captain America: The Winter Soldier, we're definitely influenced by the films of the '70s and influenced by crime fiction. 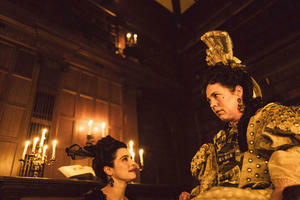 Fandango: Do you watch a lot of movies before you make one? I know some directors don’t watch anything, but some host marathons of films. Where do you fall? Coogler: Yeah. No, absolutely, man. For me, I try to pull from a wide variety of films. I love watching movies, man. I've been a fan of watching movies way before I even knew I would ever make them. I'm definitely from the school of studying films. My favorite film is a film called A Prophet, a French film that was released almost a decade ago now, which seems a bit crazy. Any time I'm making a movie, I'm always leaning on inspiration from that one. A Prophet deals with secret societies and cultural ties, so that was a big influence [on Black Panther]. I also watched a lot of Coppola's work from the '70s. We were looking at all of that stuff and also watched a lot of the James Bond films, but not the new ones. I wanted to watch the ones that were made in the '60s and '70s. I watched Goldfinger for the first time, and I just thought it was really interesting in terms of how James Bond was handy. Fandango: There's a certain buzz around this film that's unlike any other Marvel movie I’ve seen. People are saying it's maybe the most important movie of 2018 – that it’s groundbreaking. That it’s a game changer. Why do you think this film is so important to people? Coogler: To be honest, I try not to think about that too much because it could be a bit daunting as a filmmaker. Coogler: But I can answer it from a personal perspective, and as a film fan. As technology has advanced, you get to the point that you feel like you've seen everything, you know what I mean? When you get the opportunity to see something different or something new or to see something that's through a different lens, I think that can be incredibly exciting. There have been a lot of superhero movies made. As a comic book and superhero film fan myself, I feel like we've seen a lot at this point. 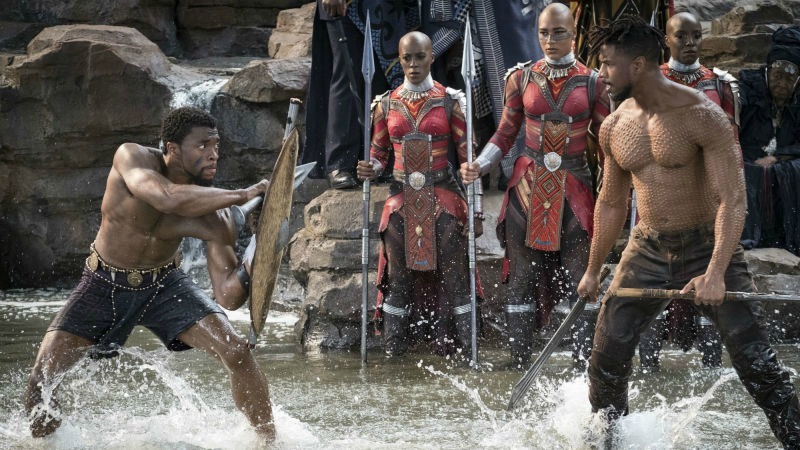 I think that the cultural element of [Black Panther] -- and how cultural specificity takes such a big role in the film – that’s what makes it quite unique. I'm excited to see more [superhero movies], but there hasn't really been a film about a character like T'Challa before. Hopefully we can pull it off, but it has the potential to be something that's really unique in a lot of different ways. I think that you can't ignore the idea of representation and also the excitement around Marvel Studios and the work that they've been able to pull off when telling original and unique stories. I think that folks are excited to see what the studio is able to cook up. Fandango: Speaking of T’Challa, how would you say he evolves as a character from the version we met in Civil War? Coogler: Well, the film will take place basically immediately after Civil War. In many ways, he's the same guy. What I think is more important, and I was talking to my brother Keenan about it, who works with me, you get to see T'Challa at almost from a ground level. You get to see him and how he is around the people who he loves, how he is when he's comfortable. In Civil War, he was outside of Wakanda. He was in a place that he didn't want to be and his father gets killed. The whole film, he's on a mission. He's a man on a mission. He's tortured; he's of few words. I think that that was something that made him appealing in that film. In this film, it's the same guy, but you're seeing all of the layers pulled back. The film's from his perspective and he's surrounded by people who he loves and cares for. It's just a much more personal perspective on him. You see him go through the journey of taking on the greatest responsibility that a person can have, the responsibility of leading a country. You see him go through the full weight of that in the film. Fandango: What about his nemesis, Erik Killmonger? First of all, a lot of fans are asking what it is on his skin in the new image that dropped recently. Coogler: Yeah, he has ritual scarification marks, which are a thing that you will see in [the film]. It's a type of body modification, not dissimilar to tattoos or piercings. Fandango: How would you say he differs from other MCU villains? Coogler: I will say what makes him different -- not from all Marvel villains, but I think a lot of Marvel villains -- is that he has a real world sensibility to him. I think it's a benefit of having Mike as an actor, but he's a character that I think will feel very familiar to audiences. I think Marvel has had villains who you can relate to, but I think even more than that, you feel like he's of this world. He's very grounded, I would say. Fandango: It’s a Marvel movie, so should people stay through the end credits? Coogler: I think that would be a smart move, yeah. Black Panther hits theaters on February 16. You can snag your tickets right here on Fandango.